Took car in for software update on gas gauge (too bad initial programming didn’t work -it was a 200 km round trip. Car was ready when promised. We are happy to hear the vehicle was ready when promised and that we were able to perform the software upgrade. Thank you for sharing your feedback Sheila. Everyone I dealt with was excellent, I am extremely happy I bought with Subaru and I cannot say enough good things about the experience. 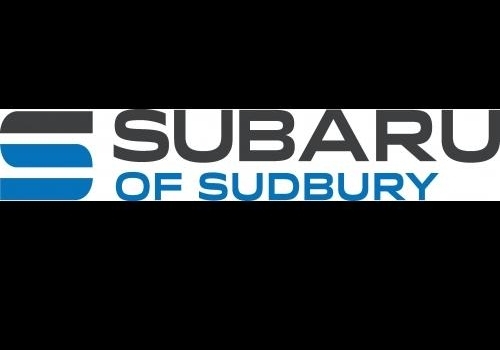 Everyone I dealt with was excellent, I am extremely happy I bought with Subaru Sudbury and I cannot say enough good things about the experience. This is so amazing to hear Peter! Congratulations on your new purchase. We truly appreciate you sharing your feedback with us. I brought in my 2018 Subaru Forester today for its 20,000 kilometersms maintenance visit. There were no issues with my vehicle. I expected an invoice of approximately $100. Did not expect to have to pay $502. I wonder what the bill would be if actual repairs had to be done? When your vehicle reaches 20,000km, it requires a B service which services various parts of your vehicle including brakes. The price of this service is 445.00 plus tax which comes up to $502.00. If you have any questions Jamie would be more than happy to answer them at 705-419-2285. I brought in my 2018 Subaru Forester today for its 20,000 kms maintenance visit. There were no issues with my vehicle. I expected an invoice of approximately $100. Did not expect to have to pay $502. I wonder what the bill would be if actual repairs had to be done? I complained from burning smell specially in the right side. After receiving the vehicle, I checked it and found that the smell decreased but I could smell it in the front right side. Arm, we can confirm that this issue has been rectified. We look forward to your next visit.